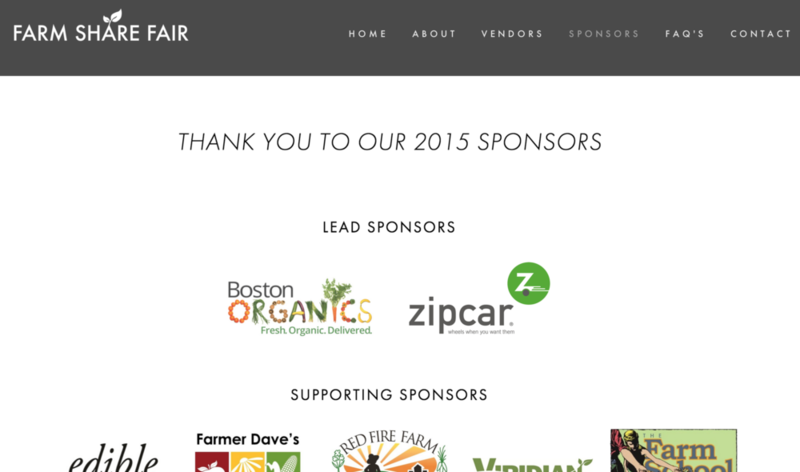 The Farm Share Fair is an event to find information on any Farm Share/CSA Programs in the Boston Metro area. Clean & simple design pairs with vibrant photography & modern typography. The palette stays neutral and organic; mostly using white, black & grey. The photos for the rotating carousel on the homepage were sent to the project manager from a couple of the farms themselves. 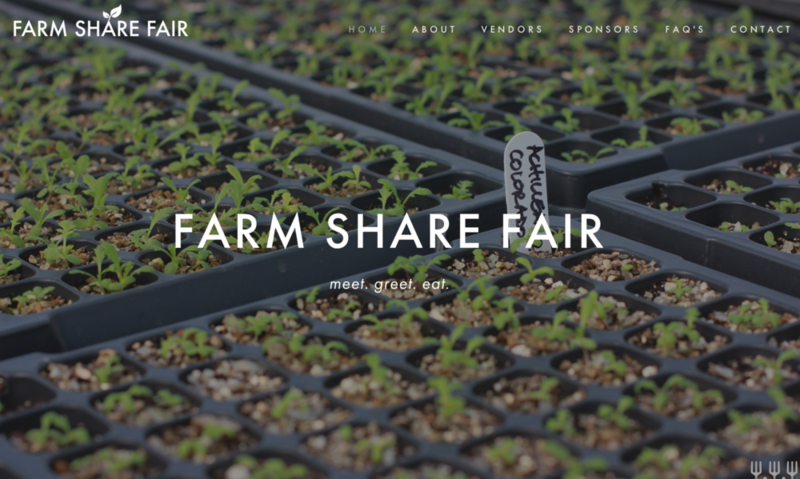 Farm Shares have been around for years and years but it's time that the community starts contributing more by supporting their local farms. 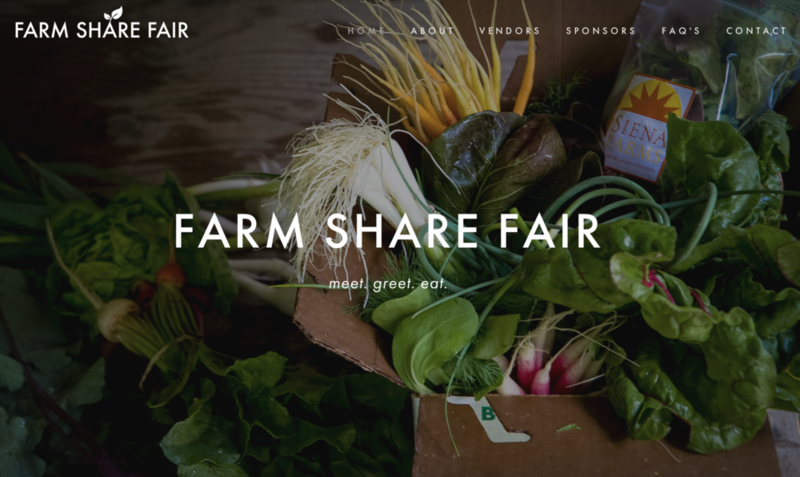 The modern design of the Farm Share Fair brand conveys a forward-thinking philosophy. By veering away from the typical farmer-look, we created a design that shows sustainability through a new light. Go ahead, check it out.